Non-refundable deposit due by January 15th. Remaining balance must be paid in full by February 15, 2019. 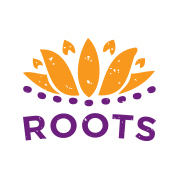 Payment Plans available - email: Minerva@RootsHealing.org to set up. Payment includes everything listed above under “your reservation includes “ section. Payment does not include: your personal airfare to Jamaica, any visa fees needed, gratuity for Go Natural Jamaica staff, additional excursions taken, personal expenses outside what is provided.